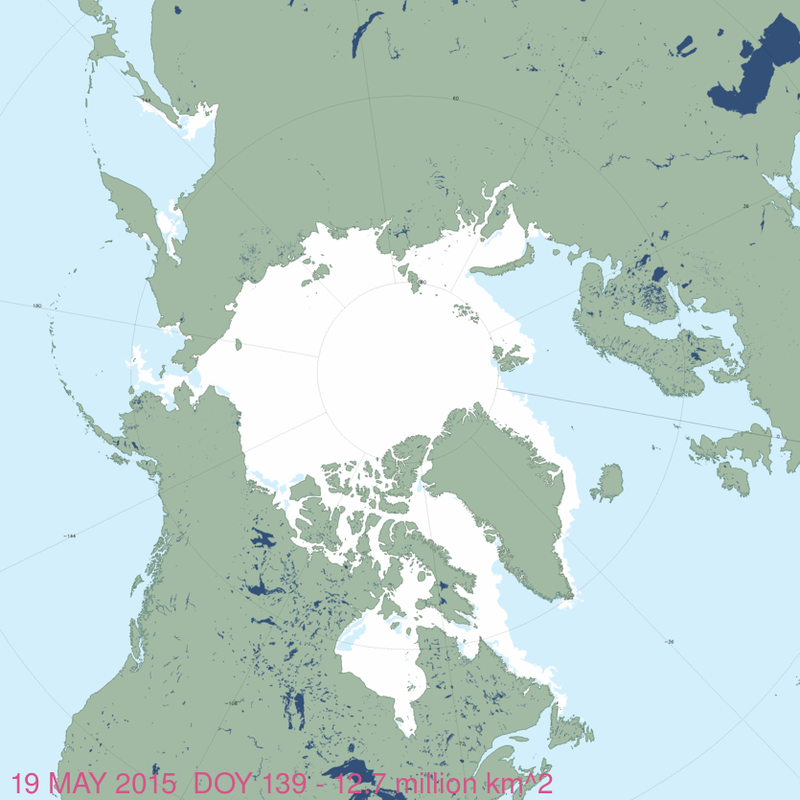 The map of sea ice extent in Canada at 20 May 2015 is an almost-perfect example of the placement of recurring patches of open water polynyas that were present in the Canadian Arctic at this time of year in 1975-1979. Notes from field work on shore leads in Hudson Bay ice at May, 1948 offer further insight into the current pattern of sea ice cover on the bay. May is traditionally the time when recurring polynyas in the Canadian Arctic become more prominent and persistent shore leads (cracks in the ice near shore, also called “flaw leads”) become wider. Polar bears hunt around these polynyas because ringed and bearded seals congregate around them in the spring (Stirling et al. 1981; Stirling 1997). These polynyas are often not truly “open water” but covered by thin ice that’s easy for seals to break through. 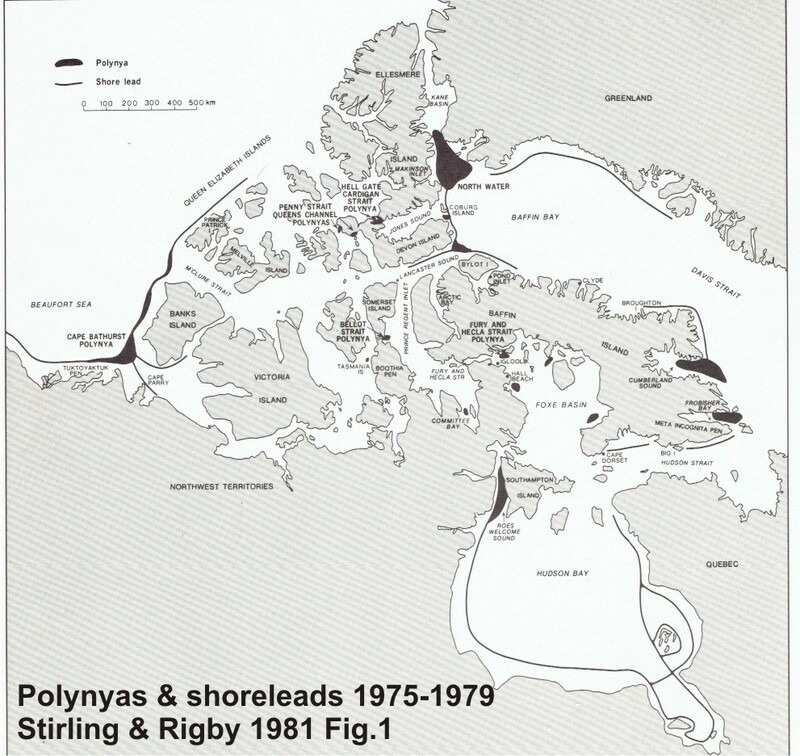 Slight differences in location and size of polynyas and shore leads from year to year (especially in spring) are governed primarily by prevailing winds (Dunbar 1981:29) and to a lesser extent, currents. 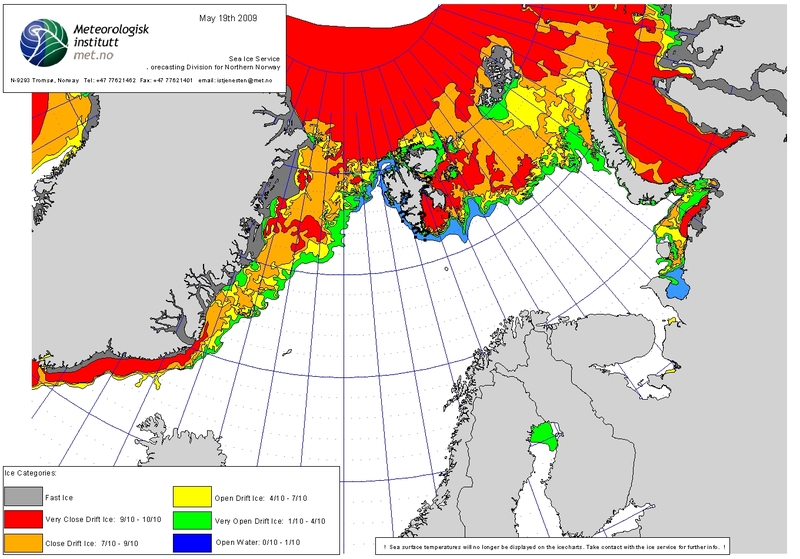 See my previous discussion on Beaufort Sea polynyas, with references: Beaufort Sea polynyas open two weeks before 1975 – open water is good news for polar bears. 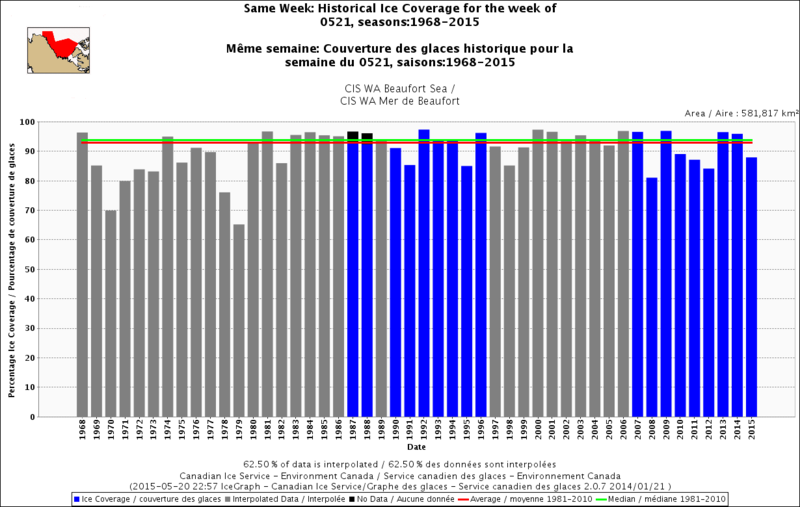 This suggests that while sea ice cover over Hudson Bay and the Beaufort Sea is now a bit below average for this time of year (as the maps for this week show), it does not necessarily portend an earlier breakup or longer open-water period later in the year. In contrast, this year, the shore lead is expanding on the western side. 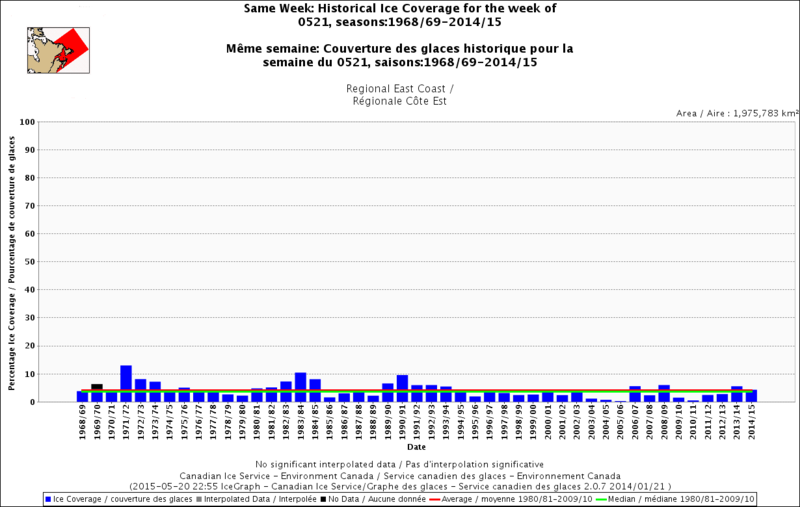 East Coast (regional), week of 21 May (1969-2015) – about average. 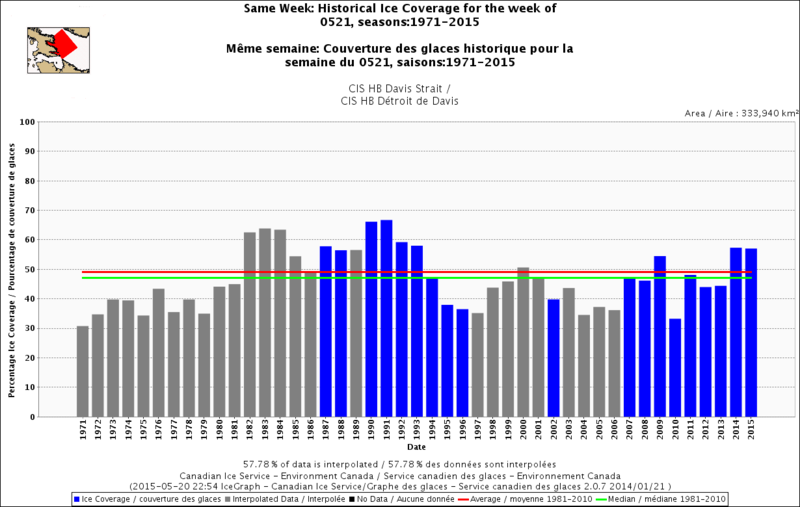 Davis Strait, week of 21 May (1969-2015), well above average. 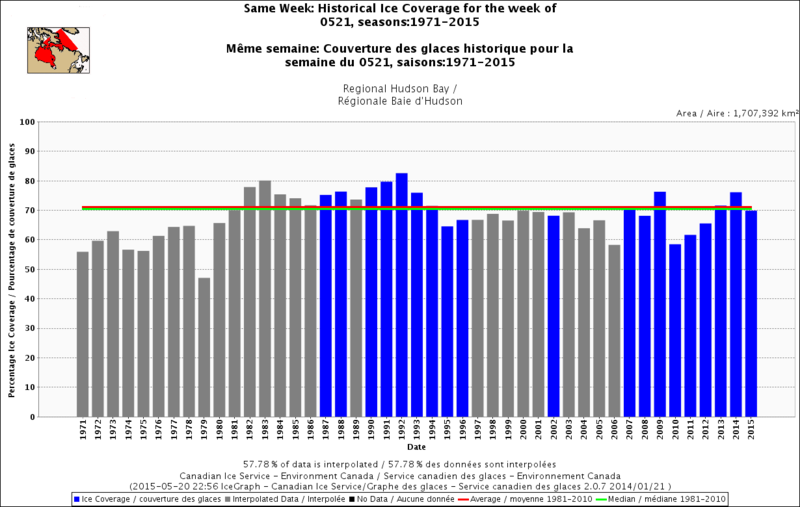 Hudson Bay (regional), week of 21 May (1971-2015), just about average. 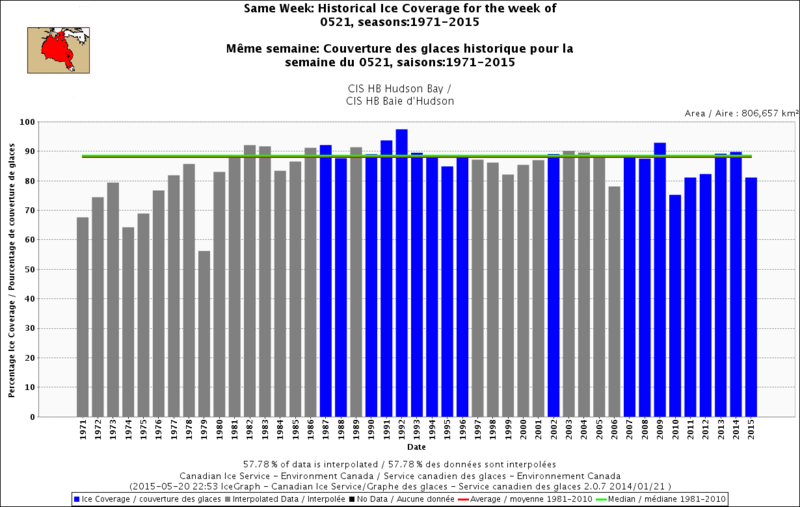 Hudson Bay only, week of 21 May (1971-2015), slightly below average. 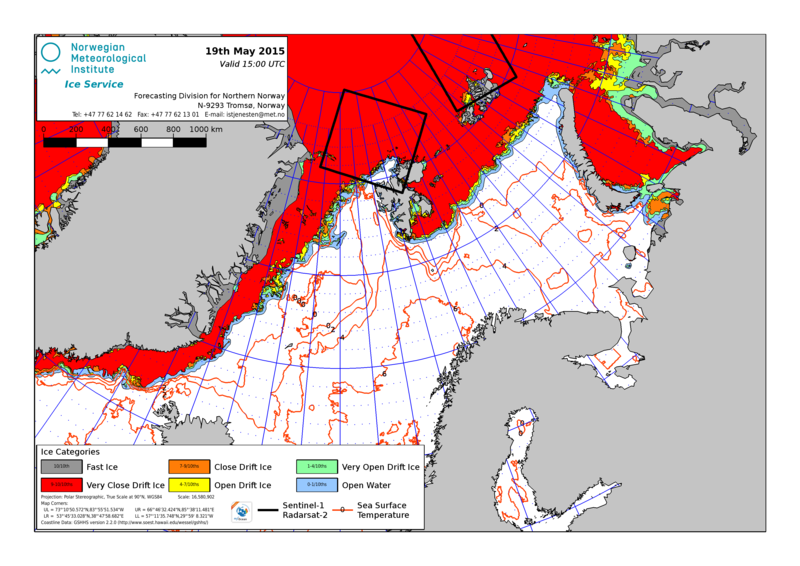 Beaufort Sea, week of 21 May (1968-2015), slightly below average. Hare, F.K. and Montgomery, M.R. 1949. 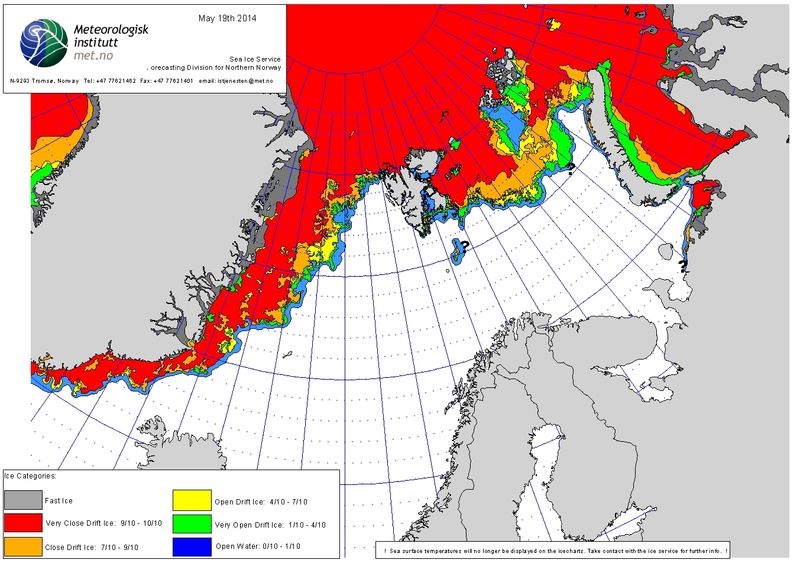 Ice, Open Water, and Winter Climate in the Eastern Arctic of North America: Part II. Arctic 2(3):149-164. http://arctic.journalhosting.ucalgary.ca/arctic/index.php/arctic/article/view/3985 Pdf here. Stirling, I. 1997. The importance of polynyas, ice edges and leads to marine mammals and birds. Journal of Marine Systems 10:9-21. This entry was posted in Life History, Sea ice habitat and tagged Beaufort Sea, breakup, Hudson Bay, open water, polynyas, sea ice, spring, wind. Bookmark the permalink.